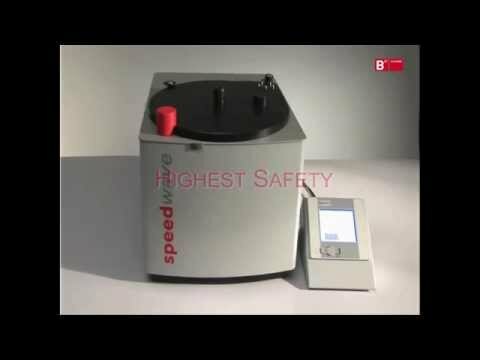 Speedwave 4 Microwave Digestion System’s patented optical procedure for measuring the temperature and pressure of each individual sample provides for active and dependable reaction monitoring. Samples never come in contact with probes or sensors, and sensors never get connected to vessels. Set up and monitoring is quick, simple and safe. Results are reliable. The combination of extreme rapid heating of samples and induced spontaneous reaction requires rapid reaction monitoring. Anything less fails to ensure safe reaction progress. Speedwave 4’s contact-free, individual sample sensor technology enables the microwave power to be controlled by delay-free sample temperature and pressure measurement. Speedwave 4’s design prevents samples from being influenced by microwave radiation. All of the system’s sensors and circuits are located outside of the microwave field. Risk of contamination is also eliminated, as there are no sensors within the sample vessel.